After approximately ten years of activity, fracking has never been found to contaminate a water supply. In fact, the EPA tried very hard to prove that fracking caused contamination of water supplies. Its efforts in Pavilion, Wyoming went to great lengths to prove water contamination by fracking. Its first series of tests at Pavilion were badly flawed, even to the point that control samples were found to be contaminated. See, Fracking Indictment. The initial testing was so inept the EPA tried for a second time to prove fracking had caused water contamination at Pavilion, but the second attempt also failed. See, EPA Strikes Out on Anti-Fracking Campaign. Fracking takes place thousands of feet below the surface, and below any aquifers. Diagram of fracking operation. Diagram source not known. 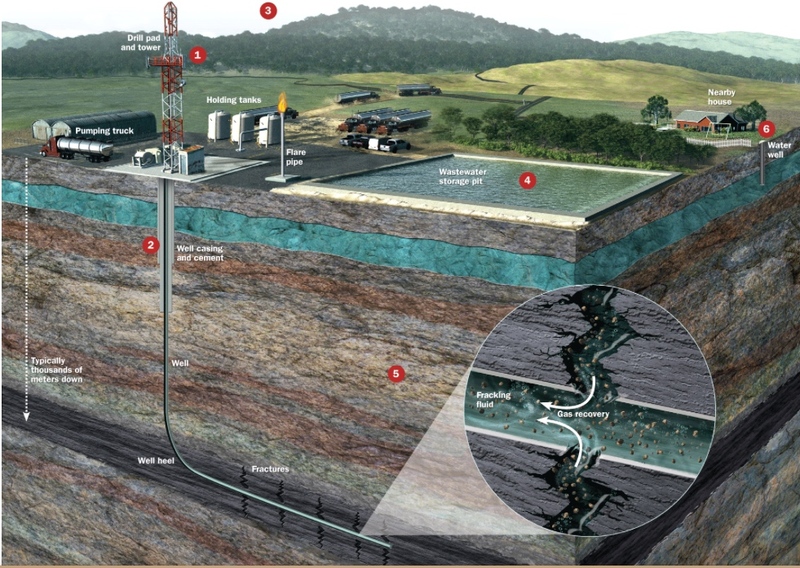 The accompanying diagram depicts the elements involved with a fracking operation, where the shale is usually thousands of feet below any aquifer. Multiple layers of rock, shale and sandstone lie between the shale, where fracking takes place, and the surface or any aquifer. The Department of Energy (DOE) estimates that over 2 million wells have been fracked. And, as the EPA has conceded, none have caused contamination of water supplies. As the diagram shows, there are two related activities that may cause environmental problems. Approximately half the water used to frack a well flows back out of the well and must be safely handled. It can be stored in a wastewater pit or in tank trucks. Wastewater contains chemicals used in the fracking process and also possibly radioactive materials that occur naturally in the ground. Instances have been reported where a wastewater pit has collapsed or leaked and possibly contaminated immediately surrounding areas. Wastewater must be disposed of safely, and the prevailing practice in the industry for decades has been to inject wastewater deep into the ground. Recently, the disposal of wastewater by injecting into the ground has probably caused earthquakes. When earthquakes have occurred, local authorities have mostly taken action to reduce the flow and pressures of wastewater injection or curtailed the use of certain wastewater wells. So far as is known, fracking has not caused earthquakes. 2. Improperly constructed well casing. Well casings are cemented so the well bore is sealed to a point below any aquifer. This prevents oil or natural gas from seeping around the well bore near the surface. If the cementing is poorly done, it’s possible for natural gas to seep into surrounding areas. It’s impossible to say that accidents have never occurred. In fact, wells have exploded and caught fire. It’s also true that automobiles have crashed and killed people, and that trains have derailed and killed people, and that virtually every human activity entails some risk. Fracking itself has not contaminated water supplies or posed a threat to people. Handling related activities, such as wastewater disposal and the proper sealing of well casings, must be done with care. It’s also clear that methane (natural gas) can seep naturally into water supplies. There are areas where methane occurs naturally near the surface, and where it has leaked into water wells, aquifers and streams, in Minnesota, Wyoming, Illinois and Pennsylvania, to name a few locations. 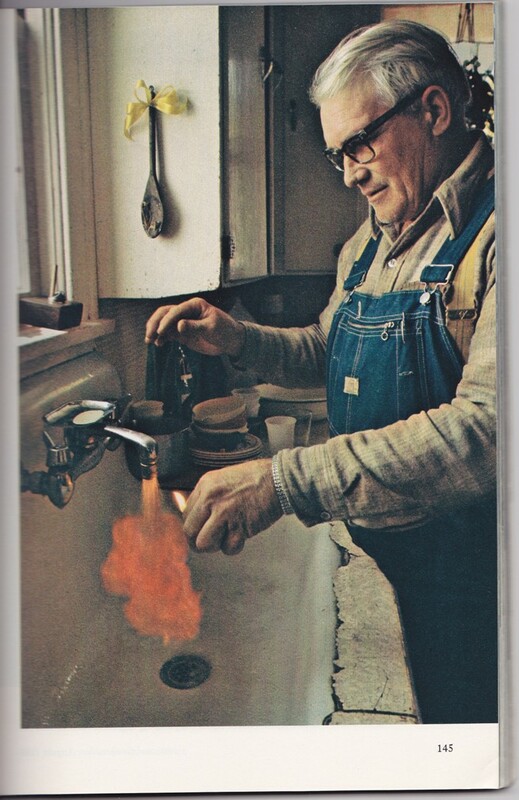 The accompanying picture from the National Geographic magazine in 1980, 25 years before the use of fracking in shale formations, proves that methane has leaked naturally, without fracking, into the water supply of homeowners. When over 2 million wells have been fracked, without, as the EPA says, “Any evidence of widespread, systemic impacts on drinking water resources,” it’s clear that drillers are doing a good job in preventing accidents, and that fracking is safe. Fracking has not caused contamination of water supplies. 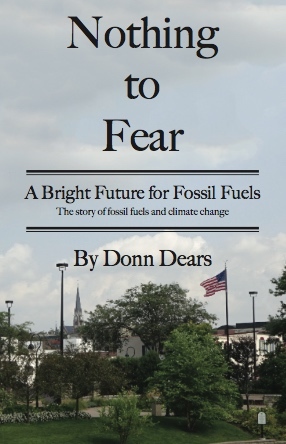 Nothing to Fear, Chapter 14, explains why it is impossible to cut CO2 emissions 80% by 2050 without destroying America’s economy and standard of living. Thanks for the well documented article, although facts don’t stop the continuous false claims from the environmentalists. Most recently the EPA has announced another front on Fracking as well as other industries via the risk of silica dust in the sand by lowering the exposure level. I suspect the EPA is wrong again.